Most accounts of Ali’s religious genesis began with his founding of the Canaanite Temple in 1913 Newark, New Jersey without actually probing its veracity and accuracy. Interestingly, Ali himself never utilized the term “Canaanite Temple” in his literature. At best, he indirectly insinuated his pre-1925 beginnings in Koran Questions No. 9 and 10 claiming the MSTA was founded in Newark, New Jersey in 1913 but without actually revealing the name of this proto-MSTA Temple, its exact location or its doctrines. 79 Contrary to Ali’s declaration, his phase of religious leadership did not actually begin in 1913 in Newark, New Jersey as the draft card revealed Drew to be a laborer by the SBC in Port Newark in 1918 . Rather, this skimpily described religious past was crafted by Ali to suppress his proto-Moorish, Newark identity as Professor Drew and to veil the historical truth that the actual Canaanite Temple was founded by Abdul Hamid Suleiman (1864-? ), an immigrant from Khartoum, Sudan who founded the Temple as part of his larger Ancient Mecca-Medina of Ancient Free and Operative Masons, a network of black Mohammedan-Masonic movements operating in various cities in the 1910s and 1920s. 80 Still, Drew’s evolution from Professor Drew to Prophet Noble Drew Ali in Newark City demonstrated Drew’s organizational genius in his (a) shrewd rewriting of the Newark’s historical religious past by erasing Suleiman’s tutelage over the Canaanite Temple and interpolating himself into MSTA literature, (b) his calculated selecting of a potent surname Ali to boost his image among African-Americans, and (c) opportunism in seizing advantage of the disintegrating remains of Suleiman’s Canaanite Temple in 1923 to fashion out the earliest stirrings of Moorish Temple of Science and (d) retaining Mecca-Centric elements of the Canaanite past into the MSTA to attract former Canaanite followers. In April 1923, the popularity of Suleiman’s colored Canaanite Temple at the corner of Bank and Rutgers St., Newark nosedived when Suleiman and his assistant, Muhammad Ali, were charged and arrested by the Supreme Court of New Jersey for carnal abuse of a follower’s child. 81 With the leaders embroiled in legal matters, a bitter struggle for the temple’s power and purse strings followed. One faction renamed itself as Canaanite Temple No. I, based at 102 Morton St., Newark and legally incorporated itself for the purpose of “ religious worship and teaching of religion, Moslam and Islan ”. 82 Professor Drew, the Egyptian Adept Moslem who resided a mere 3 miles away from Canaanite Temple No. 1 was not oblivious to the confusion within the leadership echelons of Suleiman’s Temple. Amidst the leadership vacuum, Professor Drew reinvented himself as a religious prophet by deliberately suffixing the powerful surname “Ali” that connected him to three important sources of authority in the minds of black urban masses; Caliph Alee (599-661), the imagined founding father of Masonry and son-in-law of Islamic Prophet Muhammad ibn Abdullah, Duse Muhammad Ali (1866-1945), an inspirational pan-Africanist Garveyite intellectual who dabbled with Masonry and the incarcerated Mohammed Ali, the influential local chief organizer for the Canaanite Temple. As Canaanite Temple No. 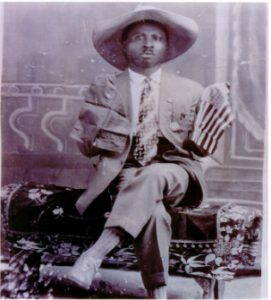 1 had legally incorporated in Newark in 1924, Drew embarked on an evangelical crusade elsewhere under a new Moorish banner to re-structure Hamid Suleiman’s satellite temples in New York and Ohio and travelled to Southern cities of North Carolina, South Carolina and Norfolk, Virginia before establishing his headquarters at Chicago, Illinois in 1925. Drew’s future silence on Suleiman and the Canaanite Temple from 1913 till 1925 was understandable considering it was not pioneered by him. Narrations of Ali’s days in Newark by MSTA followers involved an amalgamation of truth and reverse role-playing where Ali was depicted as the original founder while Suleiman instigated its breakdown. Sister Eunice El revealed that, “ The Prophet…also founded the Canaanite Temple in the year 1913 in Newark, New Jersey. He had over 900 members. After a period of time, a man came to Newark from Sudan, Egypt teaching languages. In his last speech in Newark, the Prophet said Justice would overtake him the language teacher for scattering his children. It did! He was soon arrested in New York City and jailed on charges of being an imposter .” 83 This was clearly a description of Suleiman who prided himself as a master of the Arabic language to newspaper reporters and was later arrested in New York City in 1927 for fraudulently swindling a customer’s money. Significantly, this meant that Ali was not the founder of the Canaanite Temple and a better estimated starting date of the proto-MSTA movement would be 1923, rather than 1913, as Suleiman’s grip over the Canaanite Temple eroded. Yet in Ali’s radical surgery of the remnants of Suleiman’s temple into the MSTA, he also ingeniously preserved several elements of the Canaanite Temple’s Mecca-Medina blueprint to attract Suleiman’s former followers. Patrick Bowen’s seminal study of Abdul Hamid Suleiman has reinvigorated the quest to explore Ali’s actual relationship to the Canaanite Temple in Newark further. And my comparative study of Ali’s MSTA structures with Suleiman’s Canaanite Temple suggested that Professor Drew opportunistically reinvigorated the Canaanite Temple from its splintered Mecca-centric leadership in 1923 Newark to a powerful religious Moorish American faith before cunningly rewriting Suleiman out of the religious texts verall, the essay aims at elucidating light on Ali’s past before he adorned the MSTA fez between 1886 and 1924 as Thomas Drew by examining external empirical sources to enhance academic scholarship on black American Islam. Such an approach has engendered an accurate portrait of Ali’s reinvention as Thomas Drew, Eli Drew, Professor Drew and Prophet Noble Drew Ali who transcended socio-economic and religious issues afflicting African-Americans at the turn of the twentieth century. As Drew essentially rooted from the same socio-economic class as his followers and underwent a similar rural-urban, South-North transition, this allowed him a strategic insight into the psyche of his converts. Ali’s sensitive intuition of the urban African-American spiritual pulse facilitated his successful transformation into a genuine religious leader his converts. Scrutinizing the gulf between the empirical and mythical Ali also demonstrated his skillful evangelizing methods centered on constructing a “new” past to serve his needs as a newly emergent Prophet in black urban America in 1925. While this new empirical portrayal of Ali iconoclastically unraveled deeply engrained Moorish dogma, this should not gnaw away at the religious convictions of present day Moorish believers. Ali’s past as Thomas Drew should not render their myths redundant since the legends clung onto by MSTA followers function as a form of Moorish hadith that preserves the Prophet’s legacy through oral and written chains of transmitted faith. 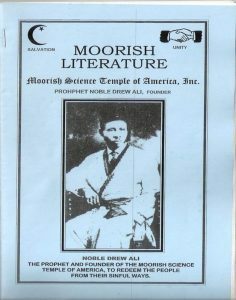 Moorish myths also powerfully connect the contemporary MSTA community to their saviour. Conversely, the reconstruction of Ali’s empirical past should galvanize the faith of contemporary followers in their Prophet. 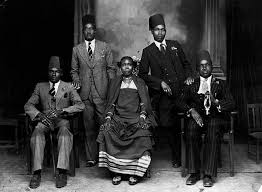 First, discoveries of Ali’s empirical identity has the potential to bind the splintered community through a common shared heritage and stake in their Prophet’s pre-1925 past as several myths have been a source of discord between different Moorish groups. Second, this revisionist biography rescues Ali’s historical legacy from being an object of scorn from the non-MSTA religious community that has been overly eager in condemning such myths as fictitious legends of fantasy. Contrary to the mainstream critiques of Ali as a dubious sage, the empirical Ali effectively counters such negative caricatures by revealing the uneducated Thomas Drew to be a mercurial Orientalist maverick and genuine prophet who sagaciously tapped on his painful past and sensitively appreciated the shifting religious philosophies to opportunistically invent a new religious structure, the MSTA that successfully catered to the spiritual needs of the marginalized black American underclass in the 1920s.